A 2016-2019 project funded by the Global Environment Facility (GEF) and implemented by UN Environment was designed to help land management projects to evaluate their “carbon benefits”. These can accrue in different land-use scenarios and ecosystems across the globe. While most people are familiar with the link between fossil fuel burning and the release of greenhouse gases, not so many are aware of the role land use management can play in mitigating climate change. Agriculture and forestry are a major source of greenhouse gases, contributing 20 – 24 per cent of all emissions. Livestock, fertilizers and burning biomass all produce greenhouse gases such as methane, nitrous oxide or carbon dioxide, or a combination of these and other gases. Deforestation and forest degradation are also major sources. However, agriculture and forestry can also act as carbon sinks – plants take up carbon dioxide as they grow and store carbon in the soils. Land use is therefore part of the solution. “Carbon benefits” refers to managing the land in such a way as to reduce emissions of, and soak up/store more, greenhouse gases. The Sustainable Land Management and Climate Change Mitigation Co-benefits project is working with partners in the high Andes, including Andean peatlands, known to have unusually high soil carbon stocks; the carbon-rich Spekboomveld in South Africa, which is under threat from over-grazing; degraded agricultural land around Lake Tana in Ethiopia; and threatened native forestlands in western Kenya. The project uses tools (available in six languages) developed in an earlier 2009-2013 GEF project title The Carbon Benefits Project, which involved UN Environment, Colorado State University and other partners. The project developed tools to help land managers find out how their activities were affecting climate change and whether the effect they were having was positive or negative. Users go to the project website and enter information on how they are changing their land use which is then compared to a “business as usual” scenario. Activities can include simple interventions such as changing crops and crop rotations through to complicated projects with multiple activities such as reforestation, restoration of degraded rangelands and the introduction of agroforestry. Project tools have allowed estimations of the carbon benefits of land management projects in over 130 countries. Examples include the climate change mitigation potential of Ethiopia’s Productive Safety Net Programme, which has been introducing sustainable land management practices in sites across Ethiopia since 2005. A co-benefit of the programme has been increased carbon stocks in soils and biomass, and a reduction of greenhouse gas emissions. The Ethiopia project, coordinated by Cornell University, estimated that over the programme’s 600,000 hectares and from 2005 to 2014, the carbon benefit could have offset 2 per cent of Ethiopia’s annual emissions each year. Read the full report. 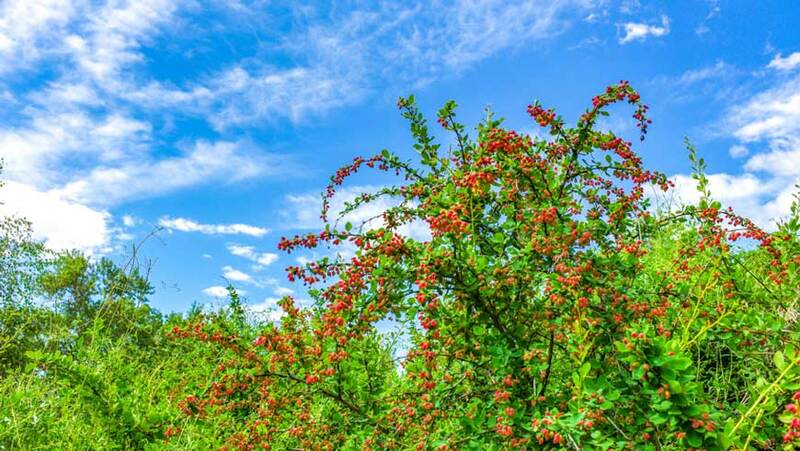 The carbon benefit tools have been used to explore the potential climate change effects of introducing wolfberry (Lycium barbarum L. – a woody shrub with edible berries) on degraded saline land in Gansu Province, China (Wang et al. 2015 – see reference under Further Resources). Dr Wang estimated that introducing wolfberry could have a carbon benefit of 2.9 tons of CO2equivalent per hectare per year, in addition to helping restore degraded land and providing a source of income for local farmers – a highly positive outcome compared to the alternative scenario of the land remaining bare and degraded. The project’s socio-economic tools were also used to look at the costs and social implications of introducing wolfberry alongside the carbon benefits and found that wolfberry production could be a cost- and carbon-effective option for Gansu province. Colorado State University is constantly upgrading these tools, tailoring them to the needs of users, for example by linking them with the World Overview of Conservation Approaches and Technologies (WOCAT), a database of sustainable land management technologies recommended by the UN Convention to Combat Desertification. This work, carried out jointly by Colorado State University and the University of Bern, will allow users to do quick estimates of the likely climate change impacts of land management technologies recommended for a given country. Learn more and access a range of tutorials and other resources at the GEF project website.